We were happy to have a table last Saturday at the Gap Year Fair hosted by Penn Charter. The fair was open to interested students and families from Penn Charter and other area schools. 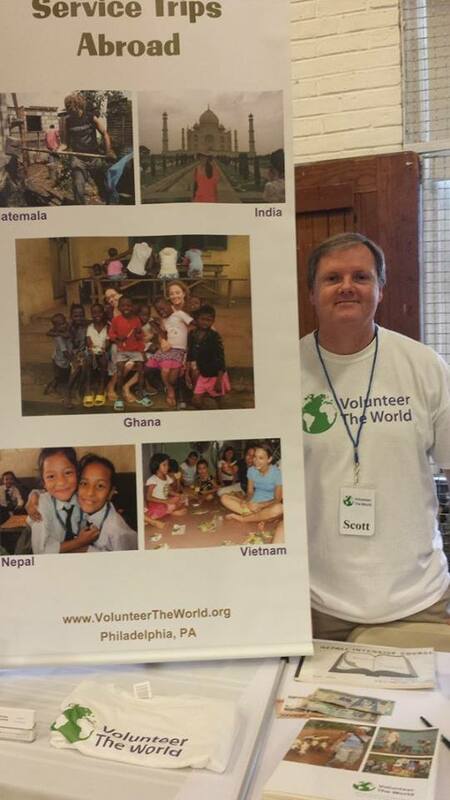 We presented our gap year program “Volunteer The World” to prospective students. Special thanks to Kathy Cheng, director of USA Gap Year Fairs, who was in charge of putting on the fair and made us all feel so welcome! What is a “Gap Year”? Gap year programs are designed for recent high school graduates age 18+ who are deferring their first year of college to travel abroad or even domestically. Participants engage in meaningful experiences like volunteer work abroad, language study, internships, excursions, adventure travel. After returning home they are more mature, focused and confident and ready for their first year of college and beyond. Gap Year is a trending conversation among families and schools, and many colleges encourage students to take a semester or year away. USA Gap Year Fairs are a source of information and an opportunity to connect with reputable gap year programs focused on education, service and personal growth.